And this has been an extremely sad year, too. 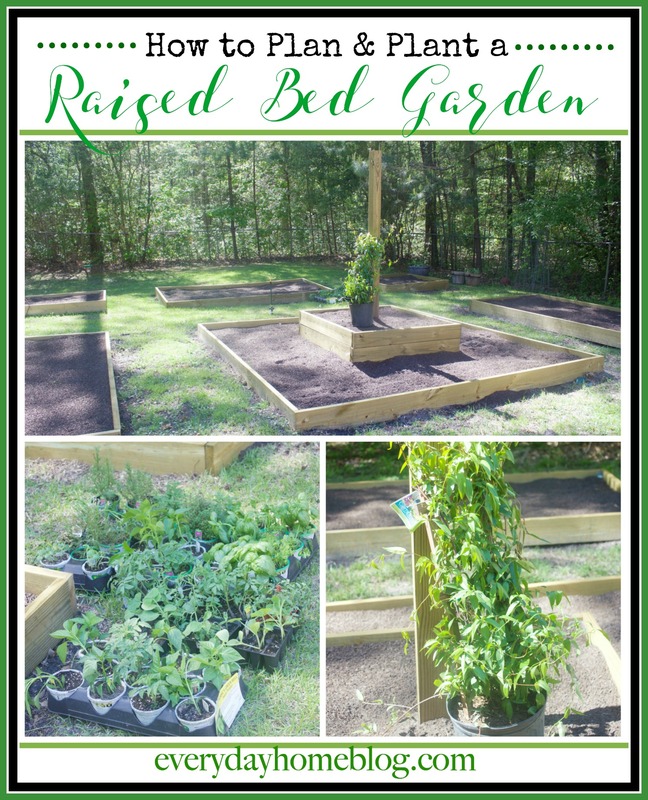 My blog has grown by leaps and bounds. But on a personal level, I lost my sweet Daddy who was one of my biggest blogging fans. Each night I stayed with him, he wanted me to get out my laptop and show him my latest post, and at the end of the month he would ask what I had earned on my blog. He didn’t understand it all, but he was amazed that I could “pound the keys” of a computer and make money. 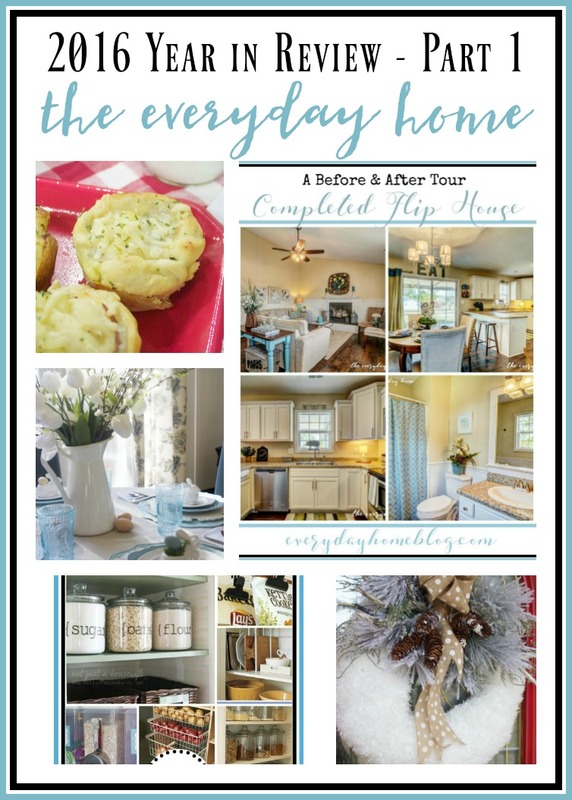 🙂 This week, I am doing four posts sharing a few of the highlights from the blog in The 2016 Year in Review at The Everyday Home. 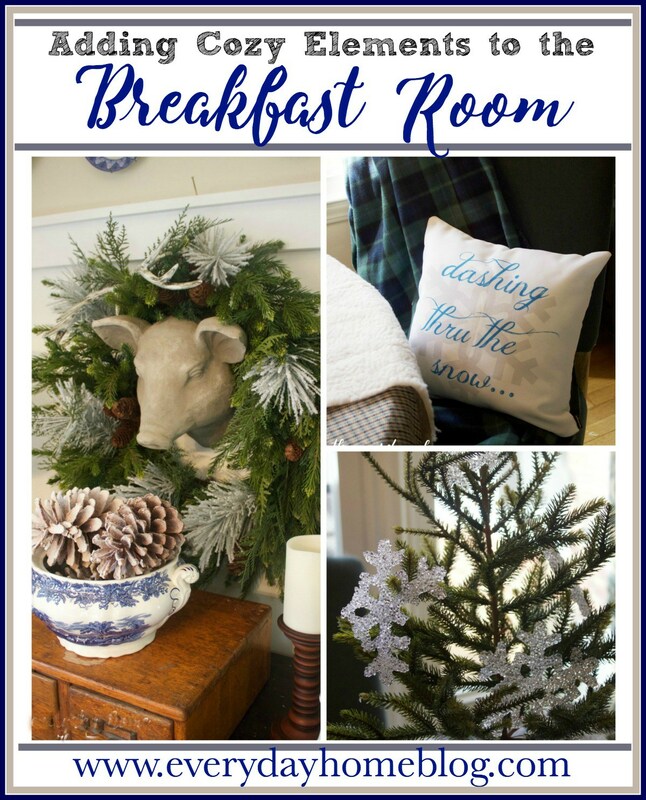 After the holidays, I added some Cozy Elements to the Breakfast Room for Winter. 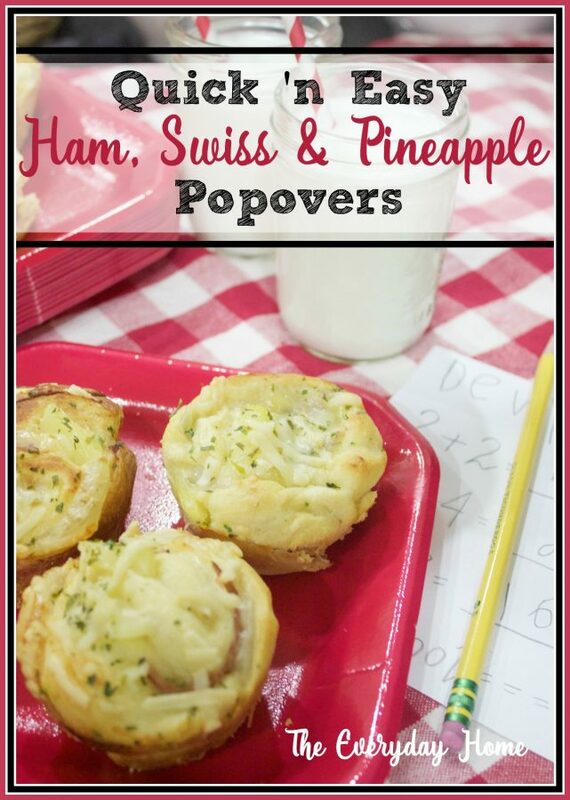 These Ham, Swiss and Pineapple Popovers are a favorite after-school treat for the kids! 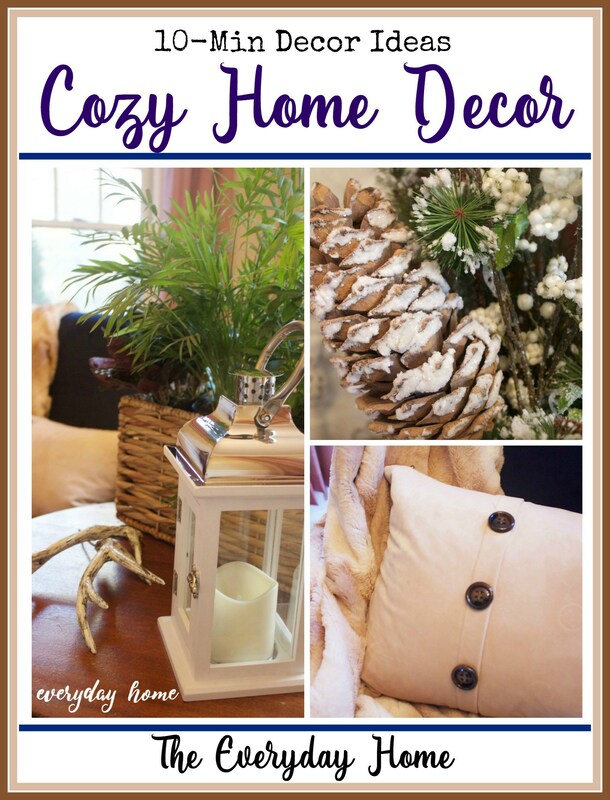 More ideas for adding “Cozy” to your home with these Easy “10-Minute” Winter Decor Ideas! 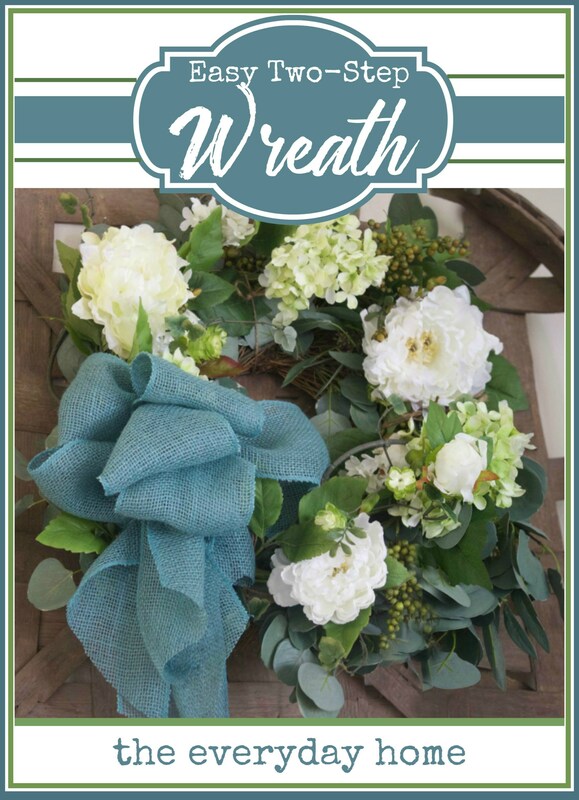 This was one of my most popular crafts from last year – a DIY Winter Wreath. 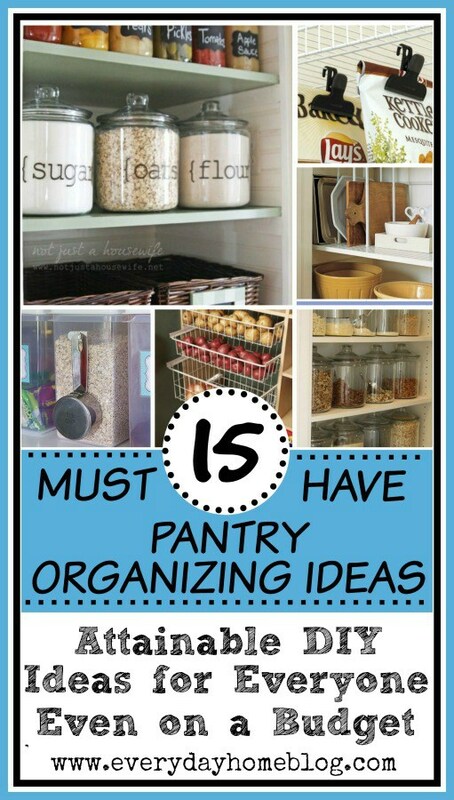 15 Great Pantry Organizing Ideas. 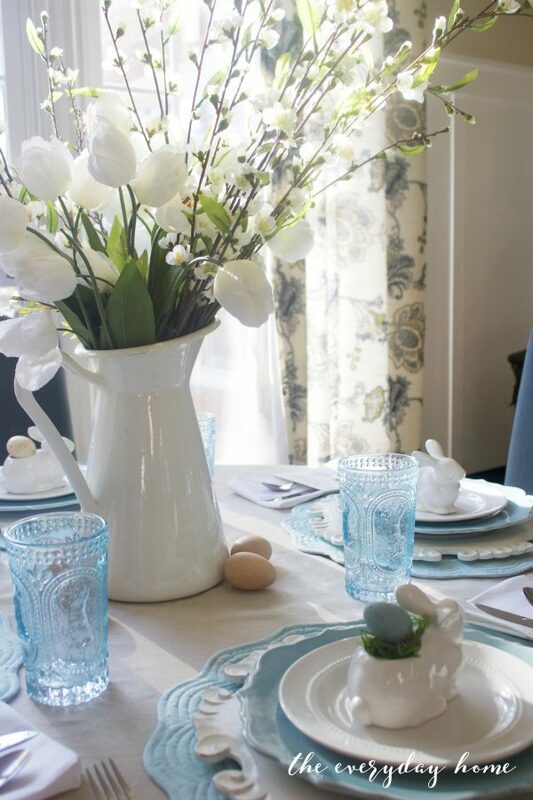 As January said good-bye, I was looking for some ideas to add touches of Spring to our home. 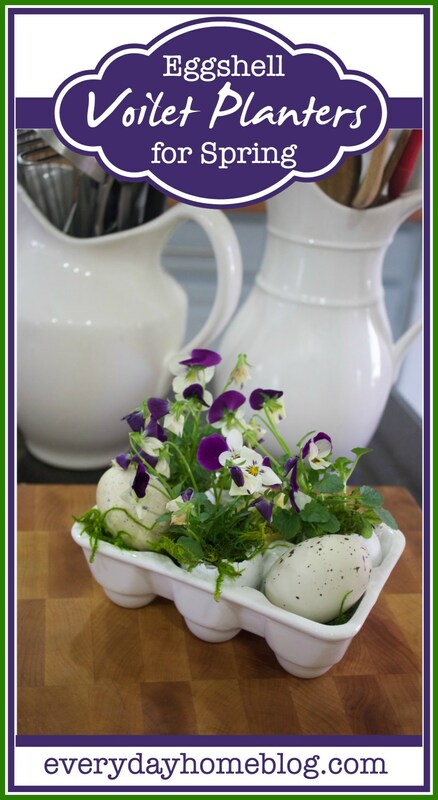 These Eggshell Violet Planters were the perfect thing. 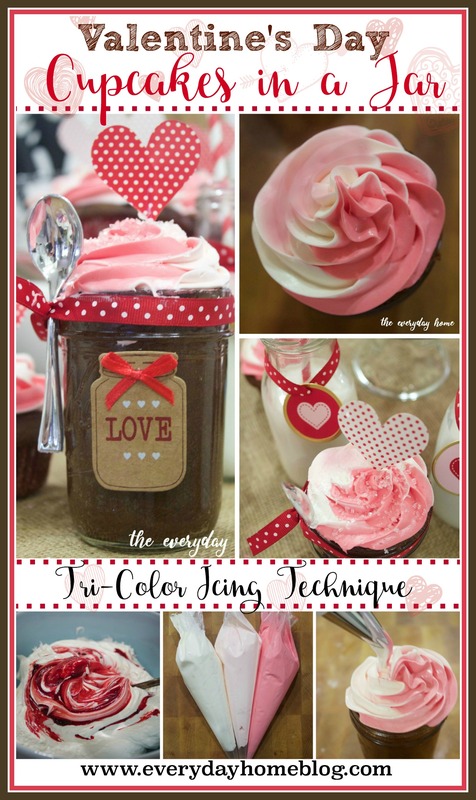 For Valentine’s Day, I shared these cute Valentine’s Day Cupcakes in a Jar. 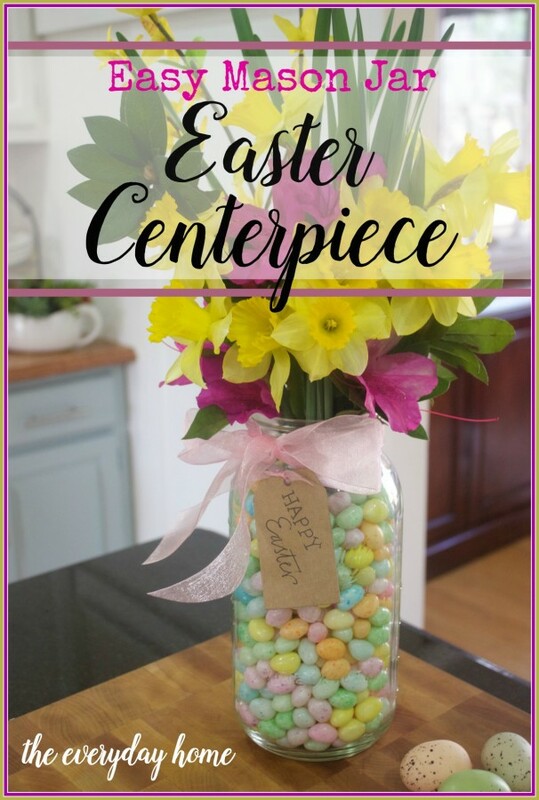 a perfect project for my Breakfast Room. 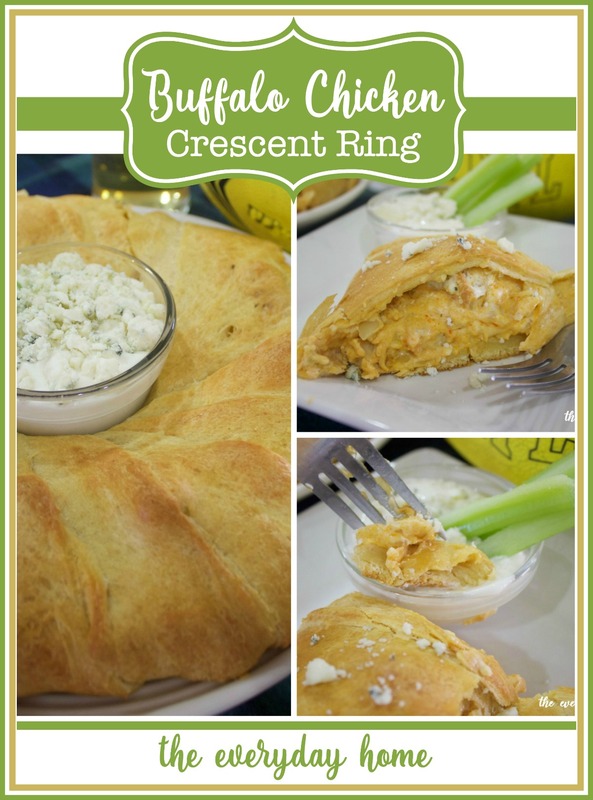 My family loves these Buffalo Chicken Crescent Roll Rings. 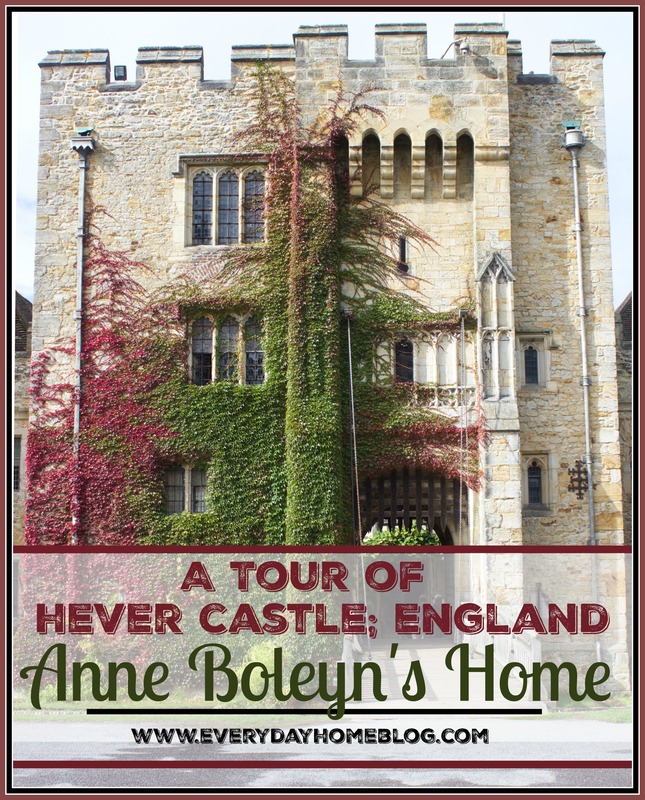 I shared our trip to England, including a visit to one of my fave places in the UK – Hever Castle, childhood home of Anne Boleyn. This is the Hever Castle Inn where we stayed. Part II of the Hever Castle Tour can be seen HERE. 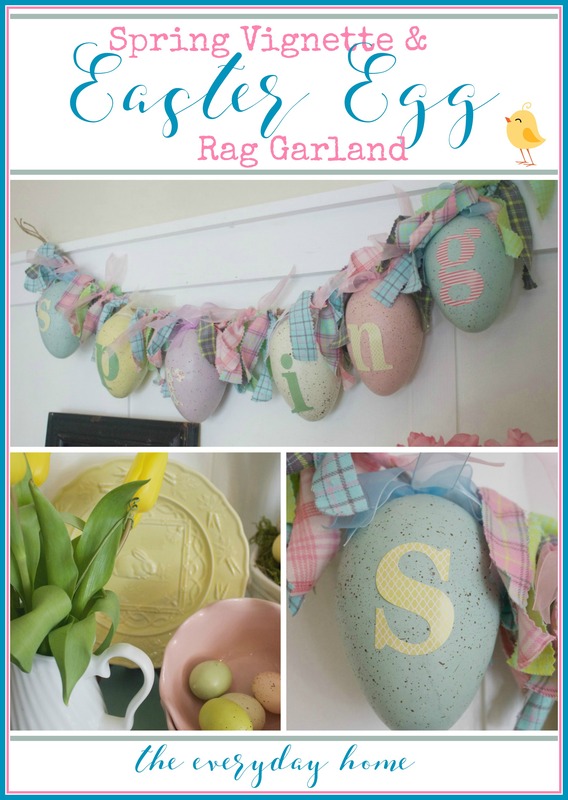 I created a bright and Springy Farmhouse Kitchen for Spring. 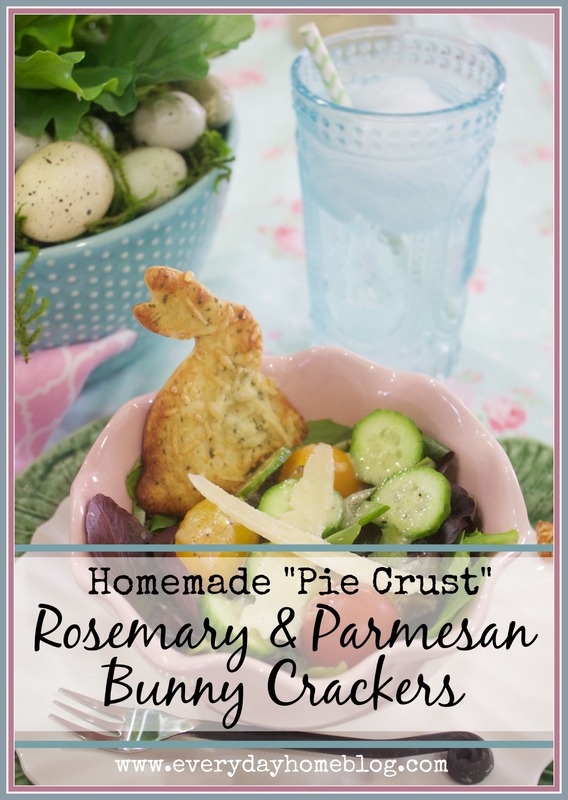 Another very popular post last year were my Homemade Pie Crust Crackers. 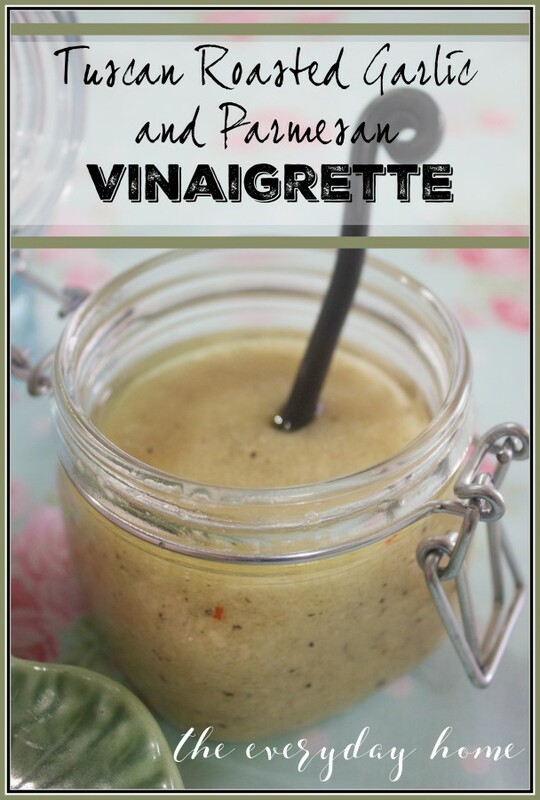 I paired them with a yummy salad with my Homemade Tuscan Roasted Garlic Vinaigrette. 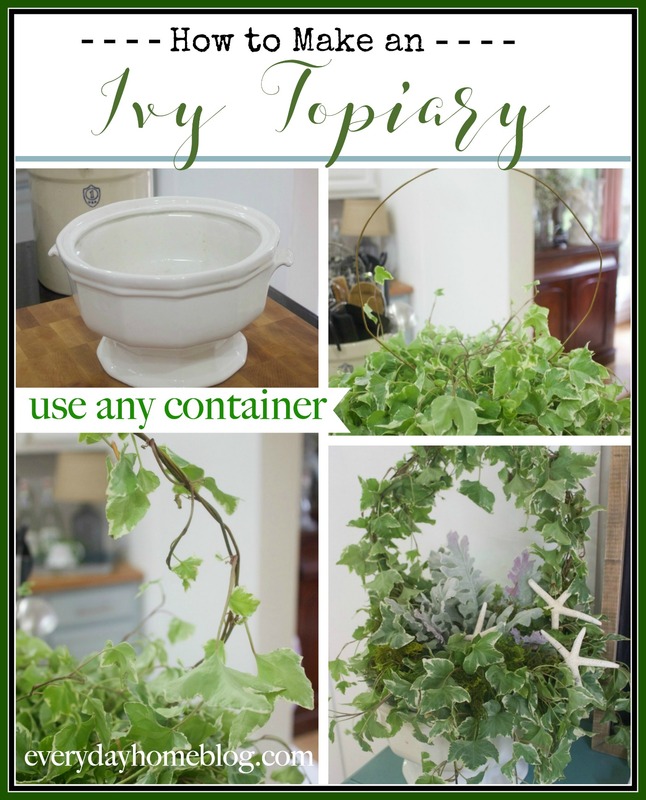 I also crafted this Easy Ivy Topiary. 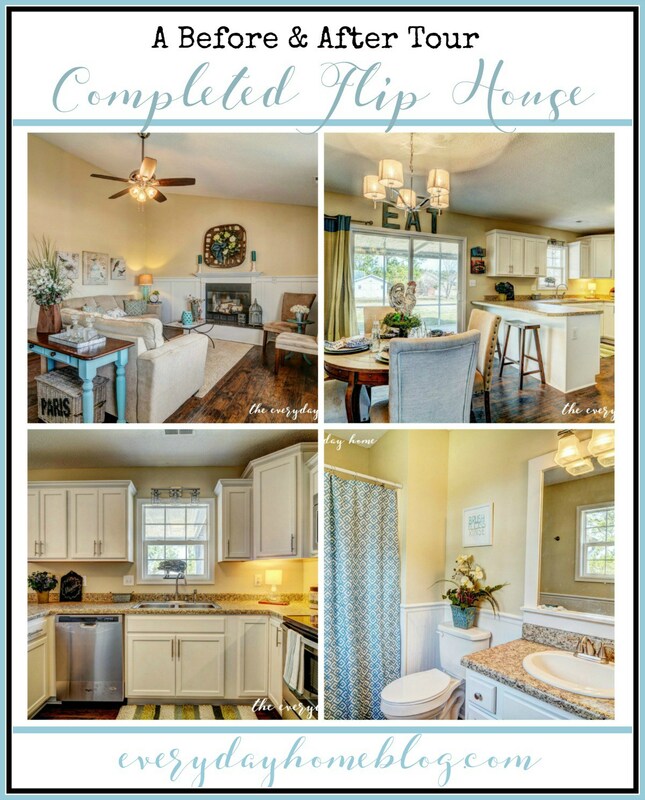 I shared the Before’s and After’s of one of my fave Flip Houses, the last one we did as a family before my Daddy passed away. 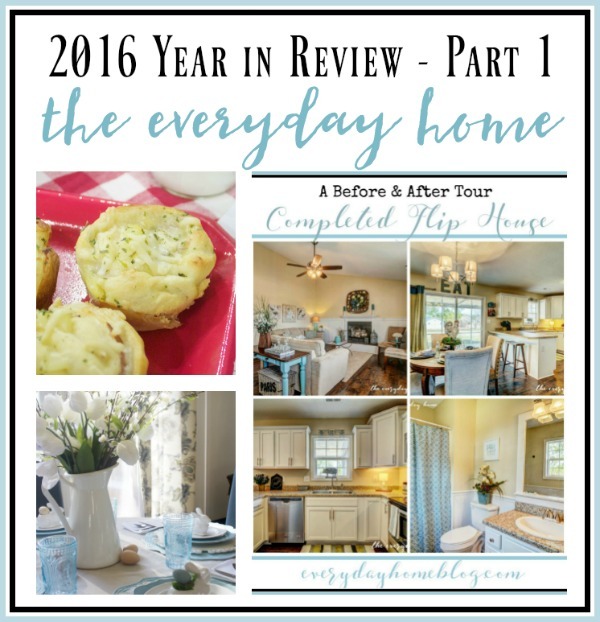 So that’s a few highlights of the first third of 2016 at The Everyday Home. Come back tomorrow for the second third of the year highlights. Thanks for spending a few minutes of your day here with me. I am trying in vain to find the directions to complete the quilt batting wreath. Every time I click on the link I am sent back to the top of the page. 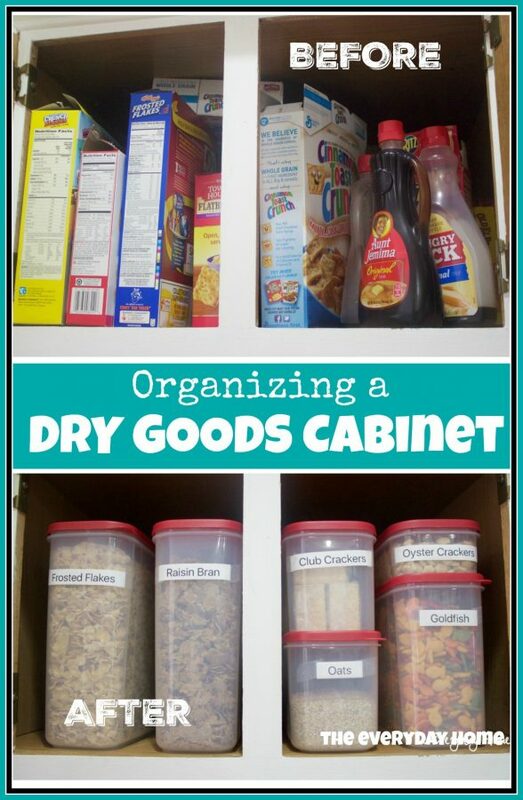 I have done this more times than a reasonably smart person would admit!! Can you give me some insight, please! Everything I see here is classy and beautiful. 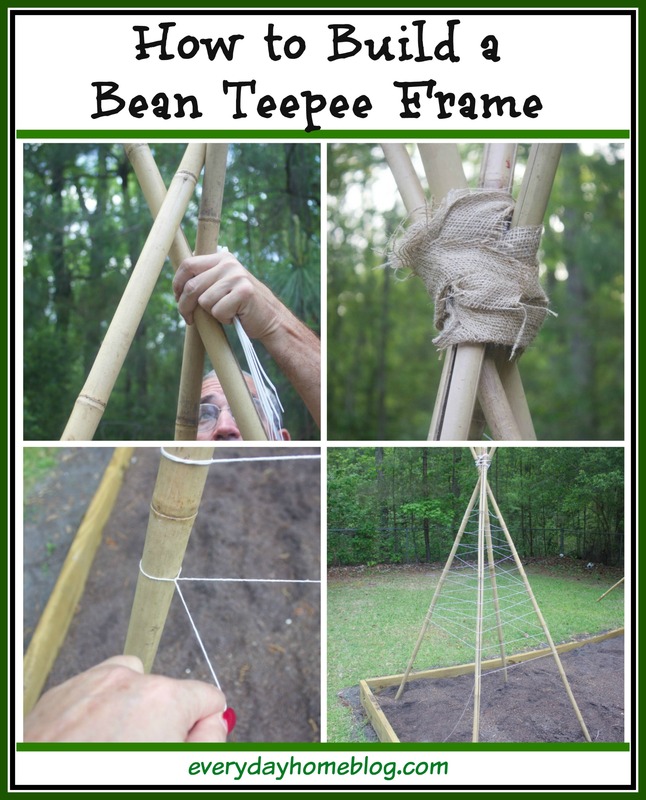 So glad I found you on Pinterest!